First details regarding prices of the upcoming AMD Zen based Summit Bride processors have been revealed. During a presentation, AMD not only revealed the prices for their Summit Ridge family, but also their latest branding scheme. We have all heard of Intel Core i series of processors. The Core i series of desktop processors are divided into three tiers. The top-end are issued the Core i7 branding, the performance optimized variants are issued the i5 branding and the entry level models are issued the Core i3 branding. AMD is planning to follow a similar name scheme as revealed in a leaked roadmap. 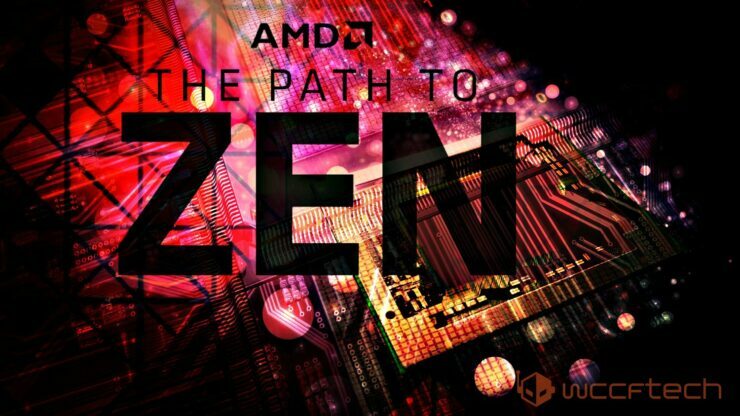 First up, we know for sure that AMD Zen processors will be launching in early 2017. 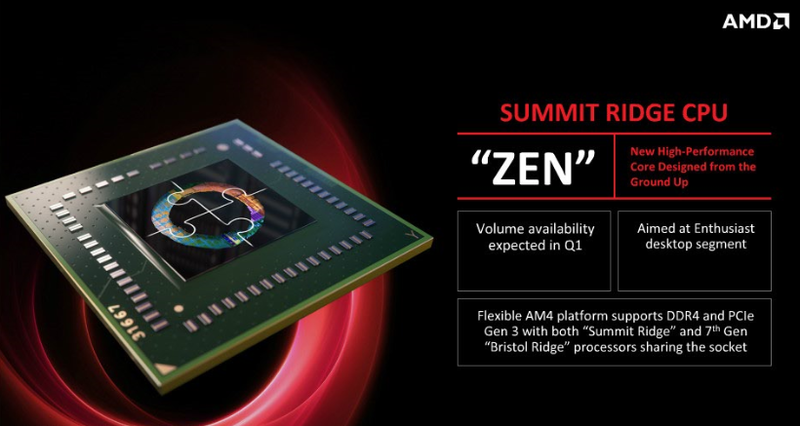 The first processors to launch in the Zen Summit Ridge lineup would use the Zen SR7 branding. These are the top-end processors which will be selling at enthusiast level prices. 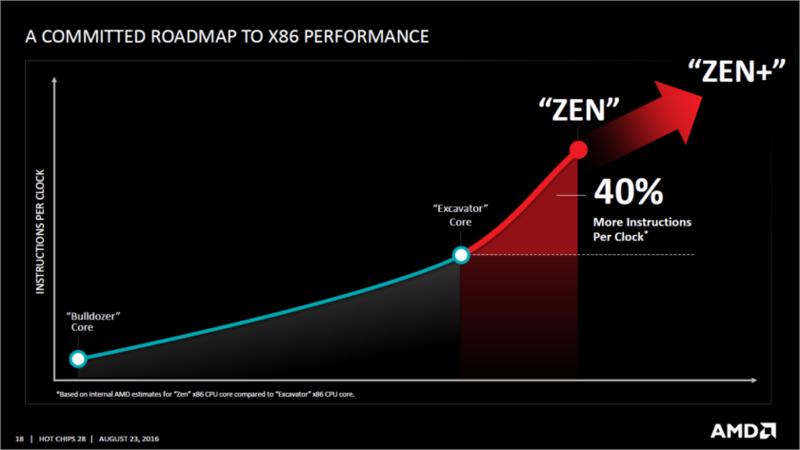 The Zen SR5 and Zen SR3 will be the more price optimized CPUs with pricing close to $200-$300 US. It’s shown in the roadmap that all Zen SR (Summit Ridge) processors will sell for higher than RMB 1500 or $220 US. 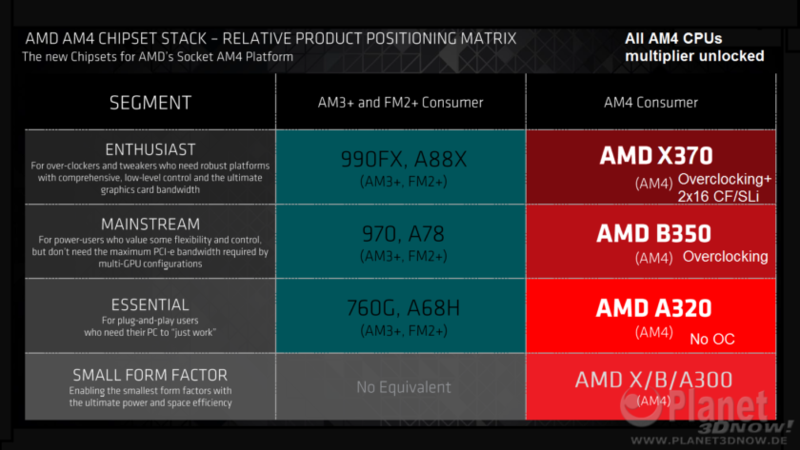 That’s interesting, we know that AMD will be offering either quad core or eight core models in their line up. We have also got details that AMD plans to launch their enthusiast AM4 platform, codenamed X370, alongside several enthusiast chips. So the initial launch lineup would only include expensive parts such as the Zen SR7 processors and X370 based AM4 motherboards. On the other hand, there will be reference coolers provided by AMD for their enthusiast processors with cooling powers of up to 140W. That might give you a small idea for the TDP of upcoming Zen 8 core processors. Talking about enthusiast processors, we also mentioned AMD prepping some dedicated overclocking chips for the Summit Ridge lineup. These special, enthusiast-grade chips would ensure high OC margins but also ship with higher frequencies compared to standard 95W variants. The TDP would remain at 95W for the higher clocked variants given that these are cherry picked. The special OC variants will be shipping at higher prices compared to regular 8 core variants and would require some decent AM4 motherboards to churn out their true potential. Last but not least, the chips are said to ship without any heatsink cooler, that would otherwise be available with normal variants. AMD did launch the Wraith (reference) cooler a while ago however, it seems like you would need bigger toys with OC chips. AMD has mentioned two full x16 (Gen3) lanes for GPUs. AIBs can add additional lanes through a PLX chip but that would add to the cost. X370 features full overclocking support with a very sophisticated GUI that will allow the best overclock tools and experiences. Since all AM4 CPUs have an unlocked multiplier, record breakers will definitely put X370 boards to the test on liquid and LN2 setups. The X370 platform would be recommended to overclockers and enthusiasts who want to try out these overclock-aimed Zen processors. After these recent leaks, it can be seen pretty obvious that AMD is trying to follow the footsteps of Intel. Not only is the branding scheme similar to their Core i series parts but dedicated overclocking variants is quite interesting. The new Summit Ridge family could be headed for a formal debut at CES 2017.